Lately I stick with my dark purple tone hair because I have no time to touch up my roots. I feel dark hair is easier to manage and look healthier. But, I started to feel a little bit.. bored? Lol, so I decided to bleach my hair again. And this time I use Beauteen. 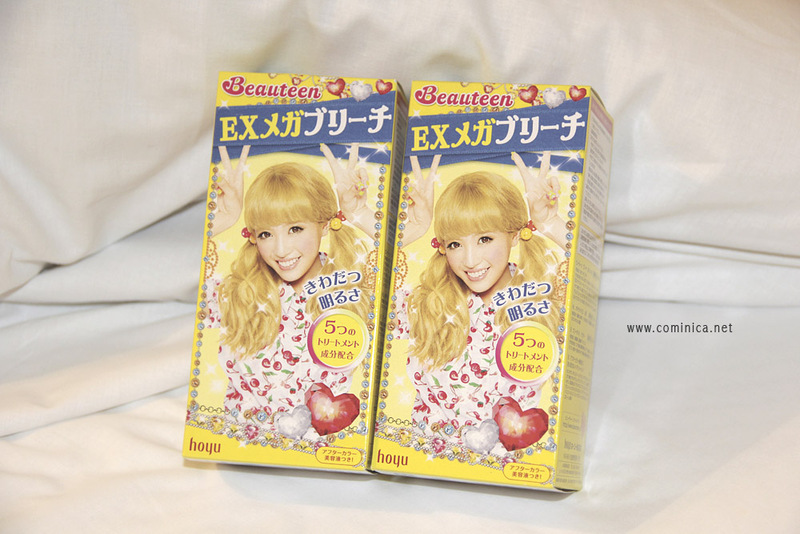 Beauteen is a hair dye brand produced by Hoyu for Funayama Kumiko, a popular Japanese model from gyaru magazine, Popteen. Her nickname is Kumicky haha. Beauteen Mega Bleach is supposed to make your hair lighter and get rid of dark hair tone. I usually dye my hair again after this step for a better and even result. However, to use the Bleach alone is also allowed if you feel satisfied with the result. 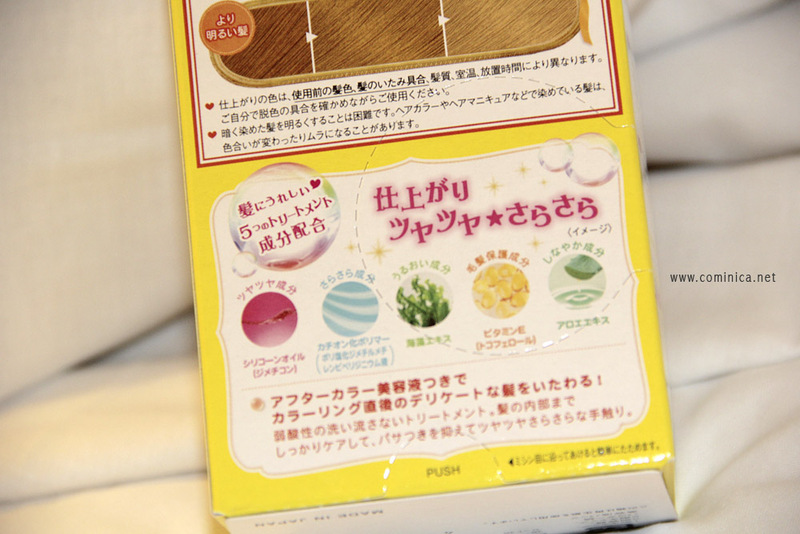 This hair dye contains many good ingredients to protect your hair from damage after dyeing. So, this is my hair before the bleaching process. It's a dark brown with a hint of purple tone. I only use one box because I have use the other one few months ago. And this is my last hair bleach stock so I kinda.. run out. ~_~ and honestly the result is kinda weird because I still have that purple blue tone on my hair. And it's not blend well with the blonde.. I think haha. The bleach mix with the purple and blue, as the result it becomes lighter. I'm pretty happy with the bleach result as it really lighten my hair and does not make my hair feel dry. I think Beauteen's formula is milder than Palty. I tried the new Palty hair dye (but I didn't review it) few months ago and my hair becomes super dry. That's why I stopped dyeing my hair for a while so my hair have chance to repair. lol and now I miss my blonde hair so I decided to bleach my hair again. 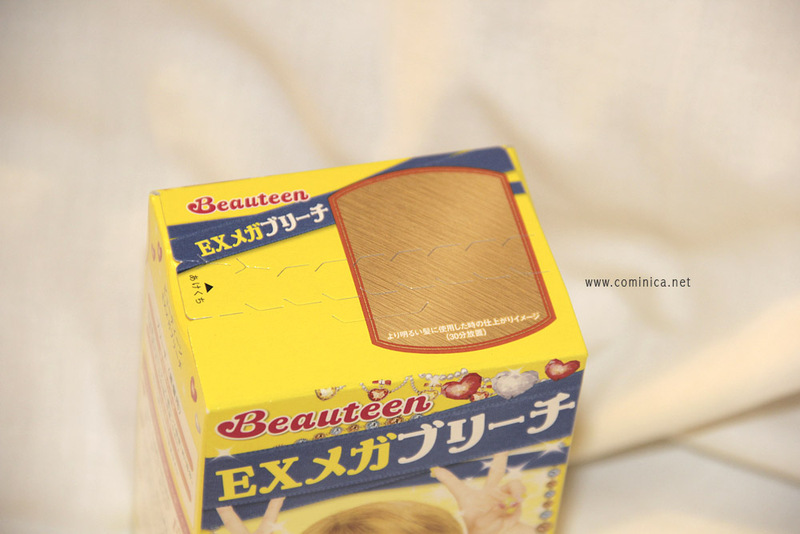 Beauteen is worth to try, it's cheaper than Palty and the formula is more delicate. However, you probably need 2-3 boxes if you wanna completely bleach your whole hair. I had that hair colour mix a few months ago. I love it. You look awesome with that colour! I really like that hair color! It makes you look more unique imo. :) I never liked Palty because it dries out my hair too so I'm glad to hear Beauteen is a little better. I'm starting to miss having blonde hair too. Once you go blonde, everything else never feels the same! I think it turned out nice! Doesn't look brassy which is good. 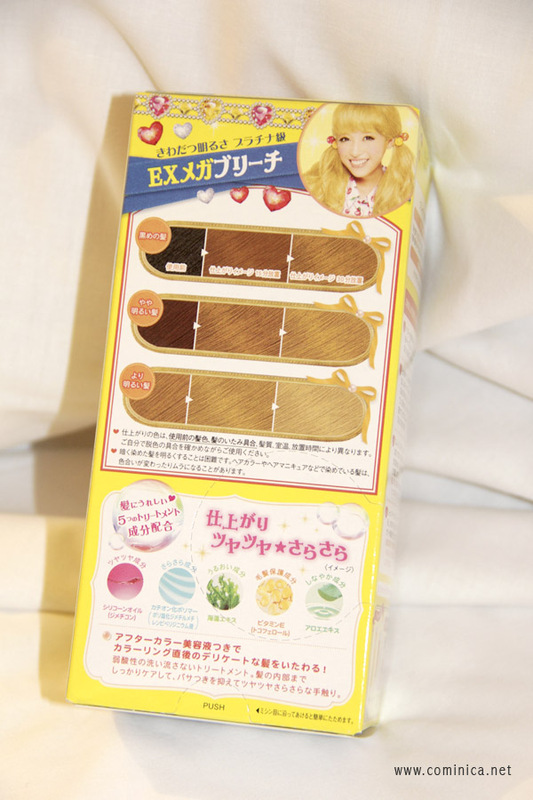 wow o.o this product blode your hair so much! The result is really nice! I wish I'm brave enough to dye my hair as well. I'm so scared of damages since my hair is really weak.